Doing a two day run on 6/4/16 and 6/5/16. 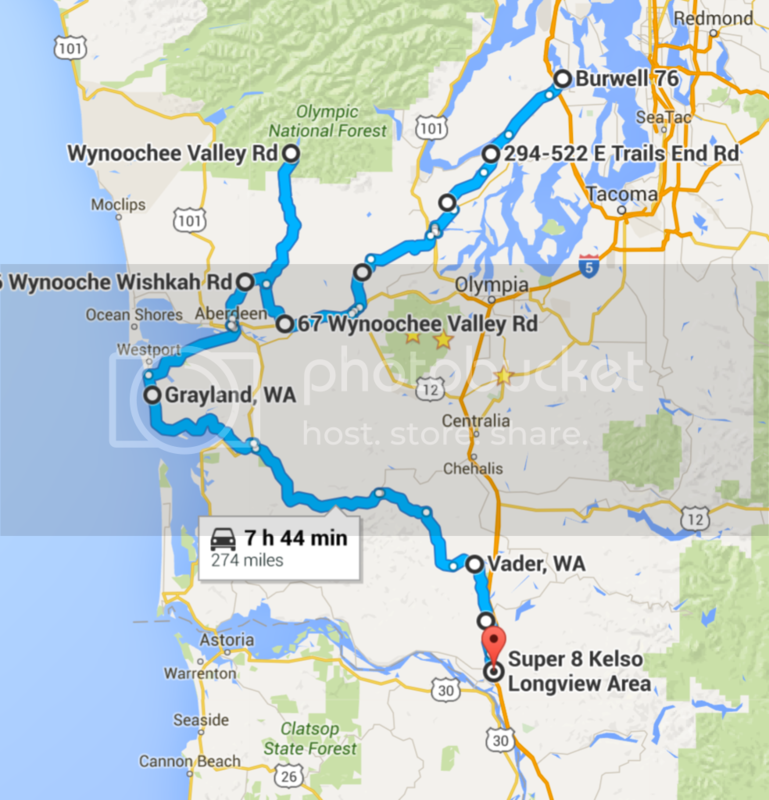 Doing the Wynoochee on Saturday, and if time permits, the west road to Mt Saint Helens. Overnight in Clatskanie. Mist and more on Sunday. Photos are approximate. Route is being developed now. Day 1 will start at the Burwell 76 gas station in Bremerton. Meet at 8:00am. Kickstands up at 8:30am. Lunch in Westport. Unless you like hookers and tweakers, I'd recommend against staying in that part of Kelso. It may add an hour to your Sunday ride but I'd stay in Chehalis. Unless you really want to ride 101 from 53 into Tillamook, you can bypass part of it by jumping onto Miami Foley Rd. It's a nicer twistier alternative to the often heavier traffic through Wheeler and Rockaway. It cuts off HWY 53 in the vicinity of the Mohler store, and runs down to 101 in Garibaldi. I might join in on Sunday from Astoria on. Just so everyone knows, this is all tentative. 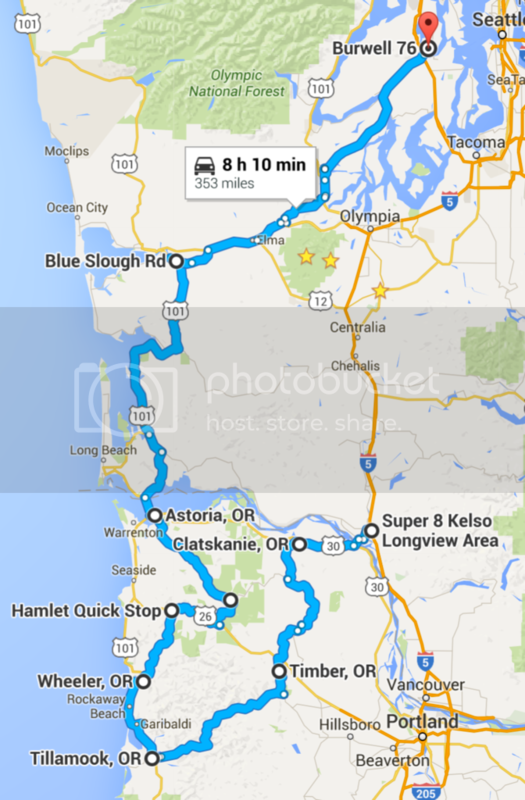 And Sunday will likely start at Chehalis/Kelso/Longview/Castle Rock (tbd) and go clockwise to Astoria and back to Bremerton.